Marci Reaven is Vice President of History Exhibitions at New-York Historical Society, where she served as the original curator for The Vietnam War: 1945-1975 (2017) and has curated other exhibitions including WWII & NYC (2012), Chinese American: Exclusion/Inclusion (2014), Black Citizenship in the Age of Jim Crow (2018), and an exhibit on the environmental history of the Hudson River, Hudson Rising (2019). Prior to NYHS, Dr. Reaven served as Managing Director of the cultural organization City Lore, where she co-founded the Place Matters project and co-authored the guidebook, “Hidden New York: A Guide to Places that Matter.” Prior to that, as Senior Associate with American History Workshop, she participated in interpretive planning, exhibit creation, and curriculum development for museums and historic sites around the country. 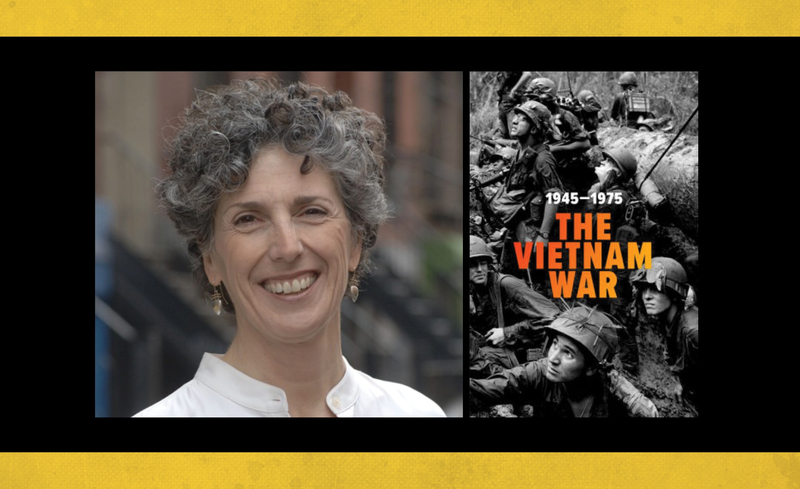 Following her presentation, Dr. Reaven will sign copies of “The Vietnam War: 1945-1975” exhibition book, which will be available for purchase. General admission tickets to this lecture are $20. Register online. See the entire Vietnam War Speaker Series schedule.